bare•bones e-zine: COLD PRINT: William Sansom's "A Smell of Fear" and "The Little Room"
COLD PRINT: William Sansom's "A Smell of Fear" and "The Little Room"
The tricky thing about anthologies is that you're never entirely sure what you're going to get with them. Being that individualized reviews for the book's diverse contents are hardly if ever written, this only increases the unpredictability of each story. When I picked up my copy of The Seventh Pan Book of Horror Stories (1966), what I had expected were tales of gangrenous aberrations and loathsome creatures of the night. The collection certainly had given me my share of this with the likes of R. Chetwynd-Hayes' "The Thing" and David Grant's "The Bats" and Martin Waddell's "Cannibals." But when I arrived at the pair of tales written by William Sansom (1912 - 1976), “A Smell of Fear” and "The Little Room," the last thing I imagined I would find was actual horror. Like many, I'm attracted to the various trappings and aesthetics of the horror genre, even down to the hoariest of settings. Give me a lonely graveyard or a cobweb-strewn hallway and I'll manage to get my buzz. Vampire crawling out of a casket? Even better. Throw in some fog and a waxy full moon and I'll be good until the morning. But I'll be the first to admit that these elements are empty calories. They're fairly useless unless the writer working with them has imbued them with true dread and vibrancy. Of course, one does not need to rely on these conventions to stir up fearful sensations in the reader's mind. Sometimes the most affecting of horror tales have nary a tombstone in sight. “A Smell of Fear” and “The Little Room” are two such stories. A former firefighter during the London Blitz, Sansom turned to writing everything from romances to supernatural horror after the Second World War, making his biggest impression with collections published in the 40s and 50s. 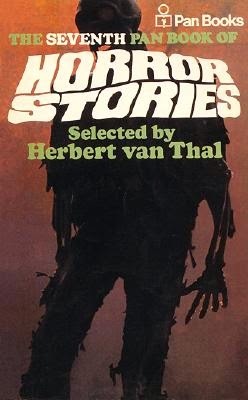 “The Little Room” debuted in his premier anthology, Something Terrible, Something Lovely (1948) while “A Smell of Fear” was an original to Herbert van Thal’s seventh Pan omnibus. 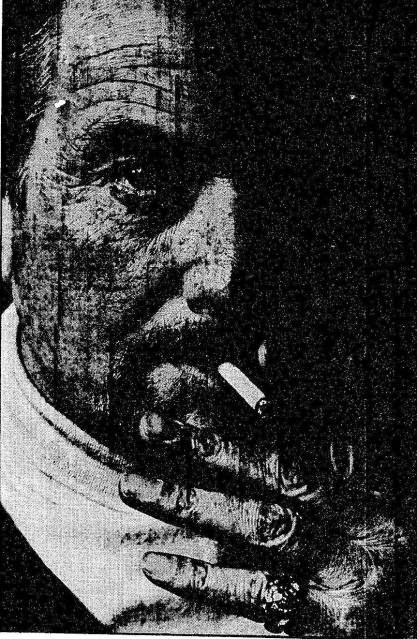 Another tale, “The Vertical Ladder,” had been seen in Pan’s second volume of shuddersome stories while what is perhaps his most famous story, “A Woman Seldom Found,” made the paperback anthology rounds, first cropping up in Alfred Hitchcock’s Stories They Wouldn’t Let Me Do on TV (1957) and hopping around Fontana and Hamlyn books before finding its most recent host in the Vandermeer’s doorstopper volume The Weird (2012). A sold-out collection of Sansom's macabre writings from Tartarus Press was released in 2002. However white such nails looked on her fingers, they gleamed yellowish against the white enamel. They just looked curled, and wet, like shrimps or sandfleas. And the surface tension of the water gave them a greyish blur of legs and feelers. Now a big dark drop of blood splashed down among the shrimp pairings, it washed out pale pink and brought her abruptly to her proper senses. Sansom pairs the wandering mind of the dreamer, imagining pieces of his character’s body taking on animalistic characteristics, with a kitchen-sink, everyday realism that strikes a primal chord in the reader no matter how much we may differ from Diana. Haven’t we all caught ourselves with one of these funny ideas in our heads? Funny isn’t exactly what Diana makes of it. She scolds herself for her imagination, just like she does when she believes she’s being methodically followed by a limping man with an ugly birthmark on his face. Is he really breathing down her neck in the fish monger’s shop? Does he actually follow her in the streets as she tries to elude him? Sometimes in a double mirror she had caught sight of her profile and had noticed a tone of placidity in the face, as though this profiled stranger were a little too heavy or pallid or something, shapely but overdone, like a Roman bust. Lips – not enough color? Pale eyelashes? Cheeks too full and flat? It could not be exactly said – and she avoided saying it. A mixture of vanity and humility told her that she was a good-looking, unattractive girl. The veracity of the narrative is appropriately muddied by Diana’s neuroses. Like the female protagonists of Shirley Jackson, Sansom’s character is one not to be entirely trusted but she is nonetheless someone who inspires our sympathies. Unlike her male counterparts, Diana feels no need or desire to investigate her apprehensions and “get to the bottom of things.” Her womanly intuition tells her everything; she knows that she’s being followed for a fact, no matter how much she chides herself in the other direction. She is the archetype of the “hysterical woman,” but if anything this shows her (and all her other literary ancestors right down from the madwoman in “The Yellow Wallpaper”) to be the more emotionally intelligent of the sexes. When faced with darkness, men are compelled to probe it while woman instinctively know it for what it is. Fittingly in the horror genre neither gender comes out the better in the end. And that is exactly how Sansom ends it. Diana finds herself walking along the lonely streets at night with her strange watcher tagging behind and, with that growing fear stirring inside her, the one that can be smelt by dogs (and wolves), she contemplates seeking shelter in a bustling pub before she heads off again because of old anxieties cropping back up. What follows is a startling altercation wherein we discover that Diana’s suspicions were right—but for the wrong reasons—and that good deeds performed in the face of mortal danger lead to punishment. Sansom doesn’t resort to a Blochian twist to unsettle our nerves (she was a werewolf the whole time! ), but the frankness with which he confronts the final events of the story grimly reinforce that old adage of the genre we mentioned before: no one goes free. Though the ending of “A Smell of Fear” is retained to allow the reader to have their first-time frissons with the story, the nature of the discussion for Sansom’s second tale under review entails a precise detailing of its climax and aftermath. Consider this ye only warning. The titular location of “The Little Room” is the apartment of Sister Margherita, a nun who has just been punished by her convent’s order for an unknown offense. Whatever this woman's crime is, her sentence is clear: death. But the sister will not be facing a firing squad or the gallows. She is to be sealed inside her cubicle, bricked in and cut off from any supply of oxygen so that she will eventually--very eventually--perish from asphyxiation. And that's it. Margherita's last moments on this earth are described in poignant and unflinching detail by Samson. 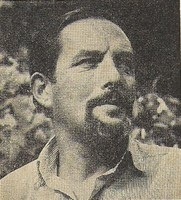 The story is completely at odds with the reputation that the paperback Pan Horror series garnered with their depictions of stinking flesh and human depravity. Not one drop of blood is spilled and yet it completely succeeds in chilling ours. One of Samson's great assets as a writer is his sharp insight into the workings of the human mind, a trait that is used to devastating effect here. We initially see Margherita accepting her fate with all the patience and open-heartedness of the truly devout; she holds no anger or fear for what is to come. She even begins to become bothered by the presence of the female artisans who busy themselves with creating her artificial tomb. It's a purely human tic that finds expression even in the face of permanent isolation. We wish everyone would just go away until they finally do. Then, like a touch of cold, the loneliness begins to seep in. Not only that, but Margherita's judges have seen it fit to have a barometer installed in the room so that the prosecuted may see the actual decrease in air as time goes by, a most effective means in promoting penance in the criminal's heart. The barometer is surrounded by a mesh of brass, so that the guilty may clearly see its measurements but refrain from, as Sansom puts it, "injur[ing] the instrument in the belief, perhaps, that it was the agent of death rather than its mentor." Although Margherita initially takes her sentence in stride, it isn't long before the inevitability of her situation begins to crawl into her mind. The monotony of the room itself, the lack of the ceremonial bread and water the order provides as a final courtesy, the ever-teasing and never-wavering needle of the barometer; all of these begin to impress upon her that most incomprehensible of thoughts that she will not be long for this world. "This person, this 'me,' that I am, this familiarity of hands and memories and close wishes and dry disgusts, this well-shaped shadow lying about my inner thoughts--all this is going to die. It will cease to be. There will be nothing more of it." Whatever it was, she had left it undone. However much she might have done, she could have done more. However much she had seen, she had not felt deeply enough. However much she had felt, she had not stored those feelings deeply enough. I don't recall just how I was imagining "The Little Room" would pan out upon my initial reading of it, but for whatever reason I hadn't thought that Sansom would deliver on exactly what he had promised. In a way I became like Margherita, a small flame of hope quivering in my heart for some kind of last-minute intervention or redemption. But it never came, for me or for her. Margherita was sentenced to her fate and no other would be supplied. The throat that had been choked with tears now gasped for air while the barometer--cold, dispassionate, mechanical--reached its final destination. For a story featured in a series infamous for its gruesomeness, "The Little Room" is the cruelest of the entire lot. It gets to the heart of fear and never blinks an eye the entire time. Death will not sneak in and destroy us in gaudy violence. We'll see it, advancing slowly and assuredly, its course definite and unchanging. It will come and claim us and we won't be able to do a thing about it and, like Margherita, we will eventually stop moving. Read "A Woman Seldom Found" here. Jose, that was an excellent article. Are both photos of Sansom? Thank you, Jack. Yes, both of the shots are Sansom; the first comes from LibraryThing and the second from the wonderful message board Vault of Evil.